An email prankster tricked a number of White House staff, including former communications chief Anthony Scaramucci and Eric Trump, into thinking he was Jared Kushner and Reince Priebus and getting them to spill the beans on the internal machinations of the White House. The prankster, who tweets from the handle @SINON_REBORN, has dinged a number of high-profile celebrities and politicians in the past. But he has now moved on to hitting staff at the White House. According to CNN, the prankster wrote to Homeland Security Adviser Tom Bossert, pretending to be White House adviser and Trump’s son-in-law Jared Kushner. Inviting Bossert to a “bit of a soirée,” the fake-Kushner managed to get Bossert to give him his personal email, according to the email shown to CNN. The prankster also managed to trick Scaramucci into replying to someone he thought was Jon Huntsman Jr. — Trump’s nominee to be Ambassador to Russia. 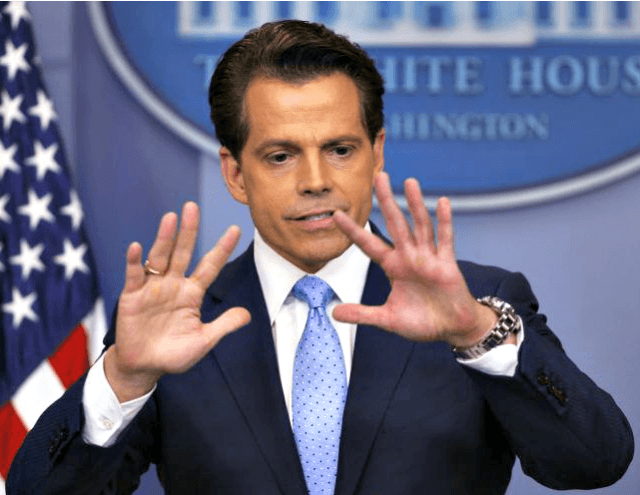 “Both of them,” Scaramucci reportedly responded — possibly referring to both Priebus and Chief Strategist Steve Bannon. The prankster also managed to get Eric Trump into a discussion about hunting rifles while posing as Donald Trump Jr.
NEW PRANK on ERIC TRUMP!! I'm playing the part of Donald Trump Jr.
Eric Trump quickly caught on and told the prankster that he was passing on the conversation to law enforcement.